Since the financial crisis of 2008, banks and financial service institutions are under increasing compliance scrutiny. Today, regulators are looking at a few areas including mortgage fulfillment, deposits, credit cards, loans, among many others. These demands will only grow as banks gain more access to different types of customer data and security threats increase from multiple sources. New risks are emerging and catching the eyes of regulators, including risks associated with technological innovation (e.g. FinTechs), ageing populations, and climate change. It is almost impossible to predict what the regulators will require in the future. Financial Service Institutions (FSI) need to drive effectiveness and efficiencies into their risk and compliance programs, so they meet applicable laws, regulations, and supervisory expectations, without draining their profitability. Meeting regulatory requirements has shifted from being a “one-off” project to “business as usual”. And therefore, FSIs must modernize their current processes to meet these requirements in a timelier and cost-effective manner. FSIs are responding by putting more emphasis on risk-and-control frameworks that allow them the flexibility and control to respond more efficiently. In addition, these models and frameworks are being influenced by new insights created by the power of AI and Machine Learning tools. 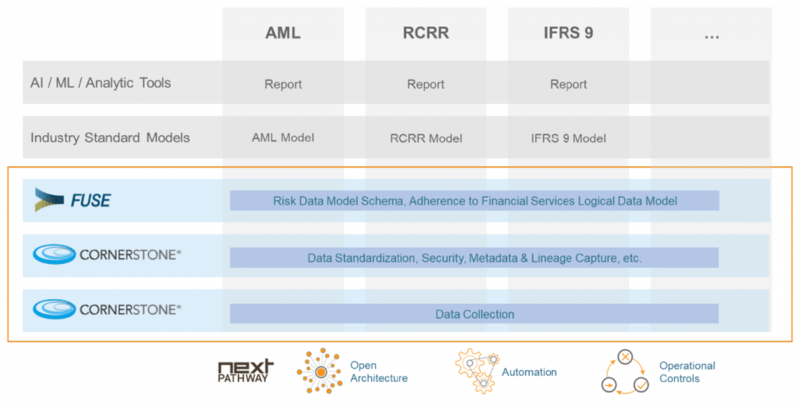 Regardless of what requirement FSIs are responding to, all of the models rely on the consistent and standardized ingestion of massive amounts of structured and unstructured data. Further, any data ingestion process must place importance on metadata and lineage capture, along with adherence to industry standard data models to make the data more meaningful for analysts to consume. Without these essential foundational pieces, it is difficult to prove the validity of any model, and use data as a strategic imperative. The Risk Data Marketplace is designed to automate and govern the collection and mapping of data to any risk and compliance data model, for use across any regulatory requirement.